Also on the sidenote, TREZ's site was banned because of hosting illegall stuffs like hacking tools and hacked roms. Yay for the new section! Tommy's in the house again bringing you some tasty new wallpaper! exclusive Chrono X wallpaper is Shark Memento's own wallpaper again,in 3 resolutions.Now i hosted it at imageshack since Photobucket loves to resize my images...so yea,the Zeta ones gonna be fixed soon.Grab your wallpaper today! 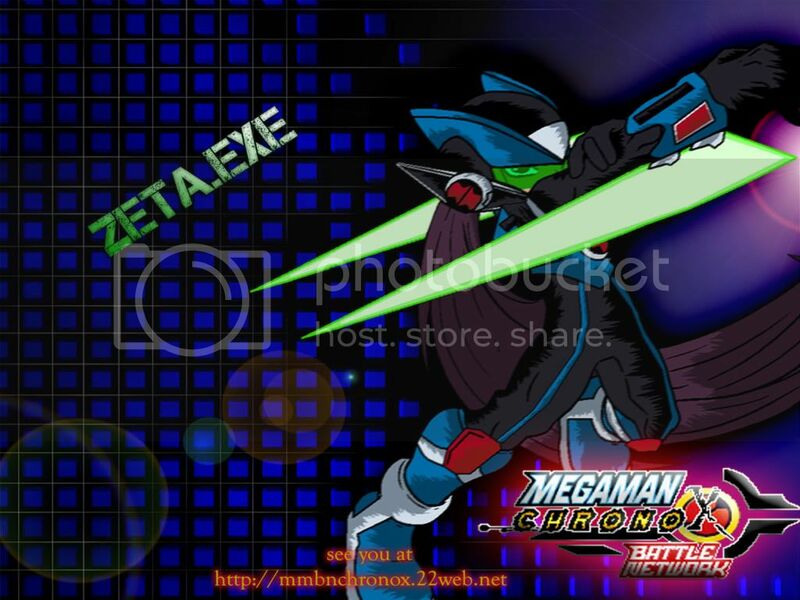 This week's wallpaper shows the NetNavi, who saved MegaMan at the end of 3rd demo- Zeta.exe! Guess that's all for today, MaxRock's out!